When I accepted my new job offer, I planned to treat myself to a new bag. While the idea has since gone out the window - I've been treating myself to too many small things along the way - here are some that I'm currently (or in some cases, have always been) coveting. Obviously a few fall under the 'only if I won the lottery' category, but hey, a girl can dream. **Also, the Nordstrom Anniversary Sale starts July 17th!! If you're a Nordstrom card holder, you can shop the early access sale now! 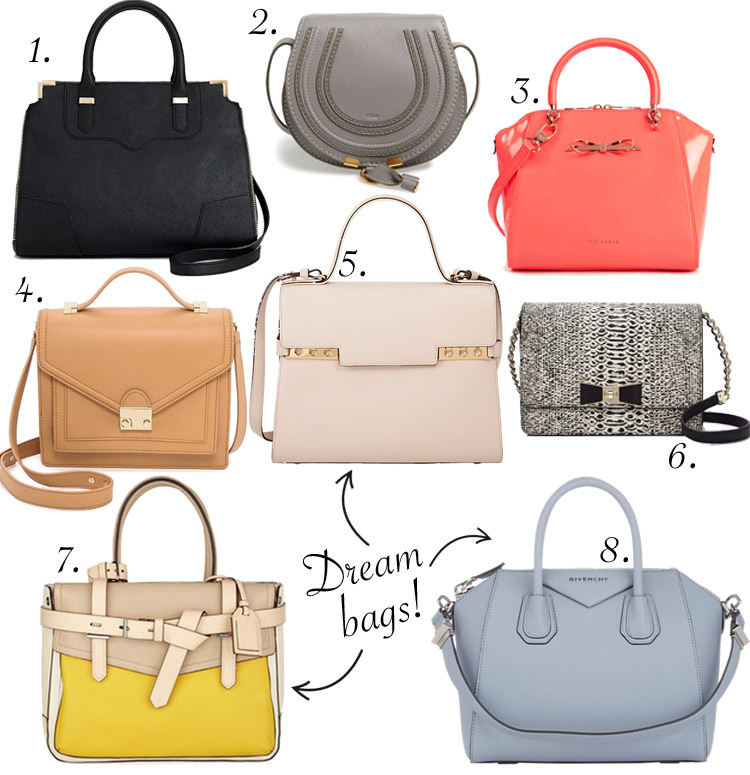 Here are the handbags that are part of the sale.